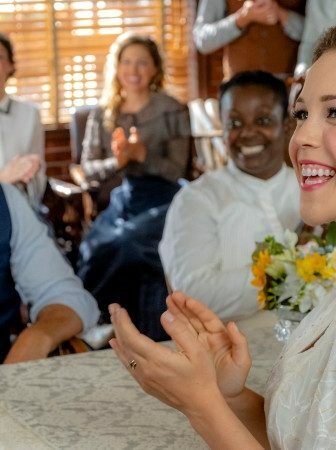 Surprises, long unseen faces, deals, party planning and a little bit of good news are the keywords that best describe what happened on the latest Heartland episode. Want to know more? 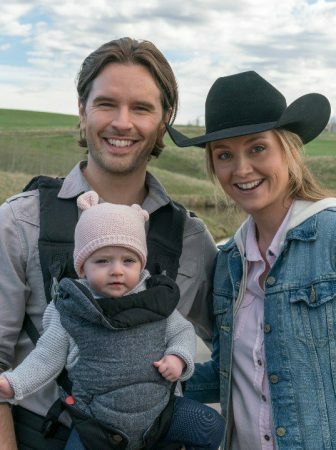 Then keep on reading this Heartland season 11 episode 13 recap. 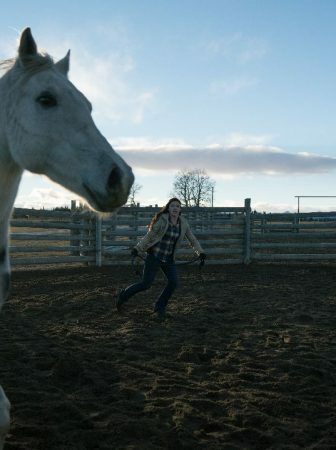 Since one of the distinctive Heartland characteristics, which differ Heartland from other family dramas, is the fact that horses are a huge part of every single Heartland episode, then lets first talk about the horse-related storyline of Heartland season 11 episode 13. And it had everything to do with Georgie, Amy, and showjumping. At the end of the last episode, we saw Georgie tell Val that she will no longer be jumping Flame. Relieving Amy from her trainer duties as well. However, a while later Amy came up with the idea that Georgie should compete on Phoenix since they still have this amazing connection. And this episode fully explored that. However, not everything was going according to the plan. Not only Georgie was rushing into jumping Phoenix over higher jumps that the horse was ready for, wanting to be ready for the Fall Finale. But Amy was distracted as well. What with Tim telling her and Lou about his health on the last episode and not really saying anything else about it since then. On top of that, Amy told Georgie that she had to restore her connection with Phoenix and earn his trust again, which Georgie did not take well. So all this left the two of them at odds with each other. 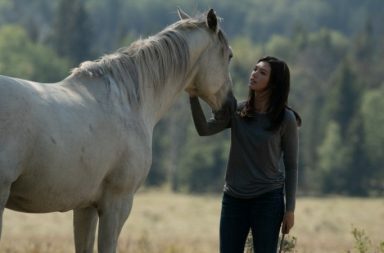 Luckily, by the end of the episode, Georgie realized that Amy’s advice was good and took it to heart, deciding to go on a relaxing trail ride with Phoenix. But instead, Phoenix led her to the jumping course, indicating that he is ready to jump again. And Amy apologized to Georgie for being distracted as well. 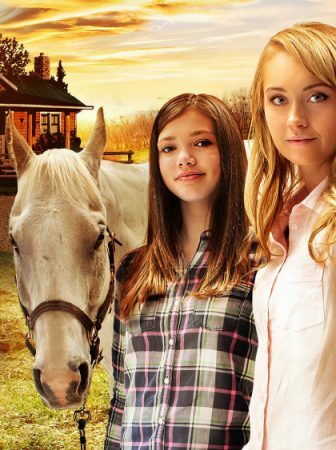 So hopefully, in the last five episodes of Heartland season 11 we will see Amy and Georgie be a team again and work together towards their goals. 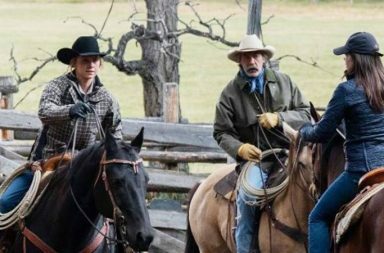 Speaking of Tim and his health, the storyline for Jack and Tim on Heartland season 11 episode 13 was directly connected to that. At the very beginning of the episode, we saw Mitch express his wish to finally officially become a partner in Jack and Tim’s cattle business. But when they brought it up to Tim, to their surprise Tim was all for Mitch buying into the business. Moreover, Tim even wanted Mitch and Jack to buy him out, which meant that Tim would no longer be business partners with Jack. And of course, that raised some red flags for Jack. First Tim was getting rid of his old things, even cherished rodeo trophies. Then he decided to leave the cattle business. And Tim even expressed his wish to go traveling, even though he hates traveling. However, since Tim is Tim, and he tends to change his mind a lot. After realizing that he hasn’t felt numbness in his hands and any dizziness in days, and after his doctor telling him that that’s a good sign. Tim changed his tune and told Mitch that if Mitch wants Tim’s share of the business, he has to come up with a lot more money. With put both Mitch and Jack over the edge. Because by the end of the episode we saw Jack tell Tim that he is not supposed to die before him. Not only revealing Jack’s true feelings about Tim being sick but also successfully telling Mitch about Tim’s condition. Fortunately, by the end of it all, Tim signed the deal, solidifying Mitch as Jack and Tim’s business partner. And Mitch and Tim tell Jack that they are not going anywhere. Which hopefully proves to be true. Because those three are becoming quite the dynamic trio. The last storyline of the episode belonged solely to Lou, who was back in Hudson and gearing up for her high school reunion. But if we know something about Lou that is that she does not take bad news well. 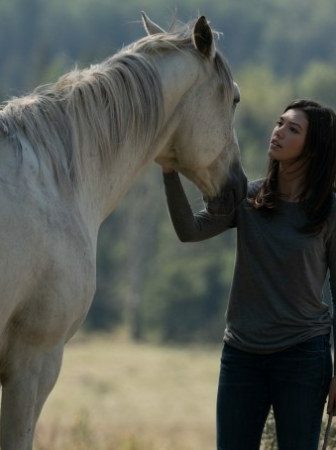 And since on the last episode Tim told her and Amy about the tumor, Lou was more erratic than usual on Heartland season 11 episode 13. When meeting up with Marnie, the woman responsible for planning their reunion, Lou found out that her more successful high school nemesis Marie Jane could possibly be coming to the reunion. Which threw Lou into high gear trying to one-up M.J. and prove that Lou is also very successful. But, unfortunately, nothing went as planned and the reunion ended up being a disaster. First, the generator at the dude ranch, where Lou wanted to hold the reunion, blew. Forcing Lou to hold the reunion at Maggie’s. And then M.J., who was one of the biggest reasons why her former classmates even showed up, didn’t turn up. Which meant that the reunion ended far sooner that Lou had hoped. At least Scott, who first wasn’t going to attend, made an appearance at the reunion. Being at least one more friendly face to Lou. Besides Amy and Georgie who Lou roped into serving food at the event. And he even helped Lou regain her composure after she broke down about the mess that was the reunion. As well as she and Amy made peace with each other after Amy accidentally told Georgie about Tim’s health in the most insensitive way possible. And even went to help Tim, Jack, and Mitch with the cattle. 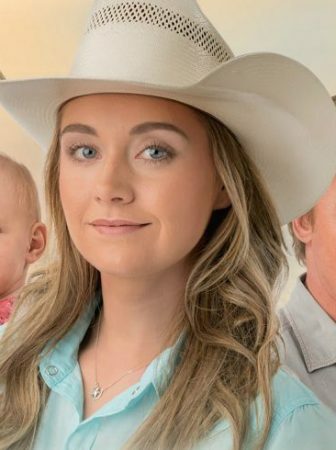 But the question remains since Lou’s life is and has been in turmoil, where will the Heartland writers take Lou’s character next? Lately, I have received quite a few questions about Lou and Scott and why they aren’t together still. 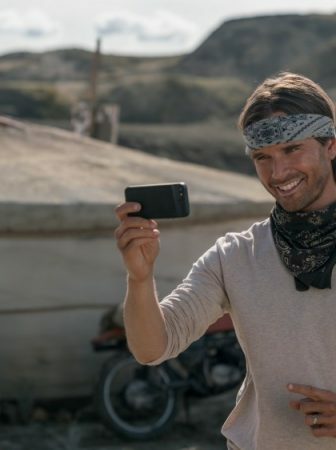 And if you were wondering the same thing or if you are a fan of Scott and Lou, then Heartland season 11 episode 13 is definitely your episode. Not only we saw Lou and Scott talk and reminisce about the good old high school days. But by the end of the episode, the two characters were doing much more than just reminiscing. Because after Scott showed up to Lou’s organized high school reunion. And admitted to Lou that he had a hard time talking about their high school days because it took him a long time to get over Lou. She kissed him. That’s right, there was a Lou and Scott kiss. Unexpected, yes, but oh so sweet. What does this mean for the two of them? Or for Lou and the other men in her life? Who knows at this point? But as many of you have pointed out, Scott and Lou were pretty perfect together. So I wouldn’t mind seeing the two of them dating again. Finally, I have to mention how well this episode of Headland dealt with family members finding out about Tim’s. It highlighted the two extremes as well as the middle ground of how people deal with this type of news. Amy was distracted and couldn’t concentrate on work. Whereas Lou did the opposite, she threw herself into party planning just to forget. Meanwhile, Jack and Georgie were processing it in their own ways. And it all not only made for a great episode. But it also is something to keep in mind. Because you never know when you will be faced with something like this in your own life. • Lou asking first Peter and then Mitch to pretend like they are still together just to impress M.J.
Love the episodes when horses are in the show as well as when Scott is too. 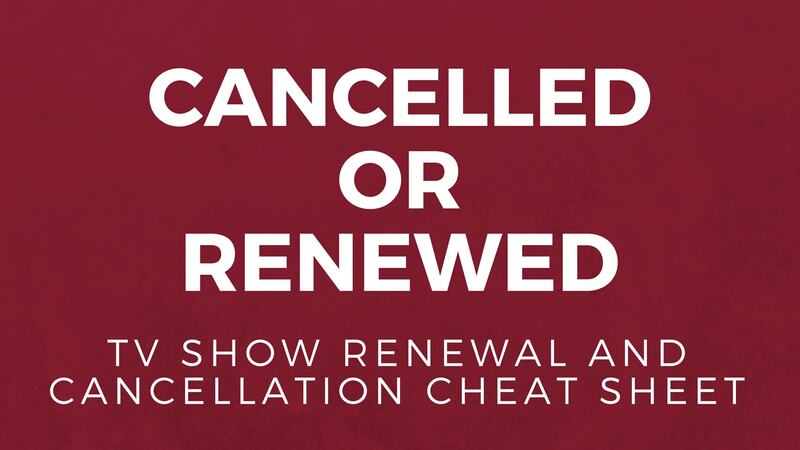 Fast forward in some of the show to see both. I hate that we can’t watch in the U. s. On Netflix because the Up channel is awful ALL COMMERCIALS!!! I wish the United States would make a deal with Canadian Broadcasting!!! My grandson thinks I’m nuts because I talk about all the actors as though I know them. I’ve been in the horse show or rodeo business my whole life, my sister & her husband as well. This show gets it right the characters look and act the part not goofy clothes and hats and can ride at all!!! I love this show!!!! I’ve even seen rodeos I’ve been to and Herat them talking about places I’ve been ! The TEXAS COLLEGE part was awesome. Born and raised TEXAN!!! Thank you for this show!! I know Harry and Karen Vold my husband was good friends with Doug and Wayne! Didn't hear where Ty called Amy "babe" but it doesn't bother me in the least. SUPER EXCITED to have them back together and praying nothing bad happens to Amy!!! I guess of all that's here, the one thing that really concerns me is when is Ty returning? And the significance of Ty calling Amy babe. I find that a negative comment for someone that is supposed love Amy so much. Also nothing mentioned about Lyndy. Of course I have to wait a while to see this episode. And then I can judge for myself. 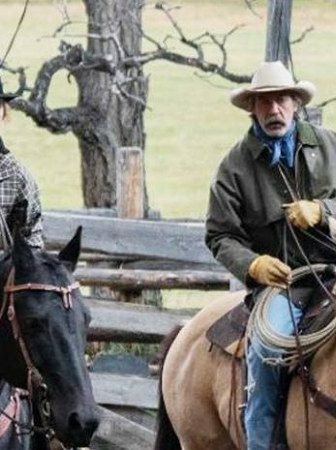 No word on when Ty will be back at the ranch. But I wager he will return sometime in the next few episodes. As for Ty calling Amy babe, that was a rather cute moment, not something negative. He clearly loves his wife very much, and supports her, even when he is off working away from home.